Waar wilt u naar toe. An extraordinary luxurious hotel in the vicinity of Ephesus – the cradle of civilizations and where modern art meets with ancient Roman and Greek art. Nazhan is a small hotel that kept its almost original form of old style house with a courtyard. Each room has been decorated in different character where you will feel the home warmth. Although our rooms are not so large, the comfort and peaceful stay what we will assure you at Nazhan. Breakfast is so important to start a day and we are delighted to serve our home made stuff prepared .We serve you at your table when you get up so no hurry. You may reserve your dinner during your room reservation, we do serve full set menü at 17 Euros/person, drinks are not included. Nicea Hotel is next to the Ephesus museum, Ishak Bey Mosque and family-run hotel with restaurant, offers comfortable and affordable accommodation in the heart of Selcuk. 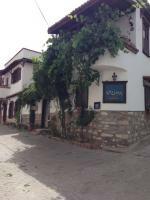 Nicea Hotel helps guests to enjoy the ancient city of Ephesus and its surroundings. Ephesus, Ephesus Museum and within walking distance from the world's seven Temple of Artemis, one of the great hotels. 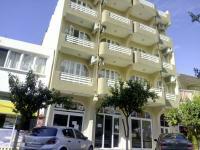 Nicea Hotel offers many common areas where guests can relax and have fun. Behind the hotel in a quiet environment in the private garden for guests to relax or in the park in front of hotel which is Ahmet Ferahlı Park can drink tea under the trees.